About Us – Opalux Inc. Since 2006 Opalux has created innovative, optically variable security devices to combat counterfeiting and improve the authentication of banknotes, passports and other high-value items. Through the expertise of its scientists and engineers—many of whom hold a Ph.D.— Opalux has become a global leader in innovative anti-counterfeiting security features. As a result of this leadership, Opalux has obtained extensive patent protection for its products and forged strong links with a variety of leading security printers, suppliers, central banks and identity issuing authorities. Andrew Binkley’s engineering and business background allows him to work closely with employees, customers, industry partners and suppliers to bring Opalux’s security features to market. Andrew is a graduate of the Engineering Science program at the University of Toronto and has worked in a wide range of research laboratories. Prior to joining Opalux, Andrew practiced law at Ropes & Gray LLP in Boston, advising both established and start-up companies in technology strategy and patent matters. Outside Opalux, Andrew mentors entrepreneurial ventures and young professionals. 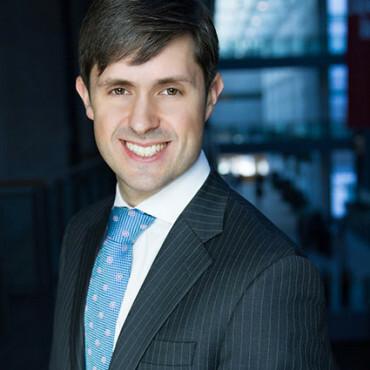 Andrew is qualified to practice Ontario, Massachusetts and New York law. He is a Fellow of the Royal Canadian Geographical Society, a delegate to the Governor General’s Canadian Leadership Conference and a former Don of Hall of Massey College. Dr. André Arsenault is a co-founder of Opalux and leads new and existing product development. Under André’s leadership, Opalux’s scientists and engineers have developed a range of security features and have authored over 15 granted and pending patent families. He earned his Ph.D. degree in polymer and materials chemistry at the University of Toronto working with Professors Geoffrey A. Ozin and Ian Manners. His doctoral dissertation was on tunable photonic crystal materials, the basis of Opalux’s products. Additionally, with Professor Ozin, he wrote Nanochemistry: A Chemical Approach to Nanomaterials. André is the author of numerous articles in peer-reviewed scientific journals and was awarded first prize in NSERC’s Innovation Challenge Award. Paul Chan is an entrepreneur with broad interests and a record of success. After completing a B.Sc. in Computer Science at the University of Toronto and an MBA in Finance at York University, Paul applied his skills and enthusiasm at various organizations including TD Bank, General Motors, and Imperial Oil. Following these experiences, he tackled the challenges of a career as an entrepreneur, pursuing projects of personal and public importance. Paul has developed property and automotive projects, followed later by the creation of an energy- and cost-efficient housing system. This system has found popularity in Europe, where it continues to be manufactured and sold. Paul is a co-founder and former CEO of Opalux. Today, he continues to be a lead champion of Opalux’s products.